Lulu's Garden: How Old Are Yew? It is National Seed Gathering Season from 23 September until 23rd October. The Tree council want us to get involved and gather seeds, fruits and nuts to grow the trees of the future. The idea of helping grow the trees from seed made me think about the trees that are already really, really big. 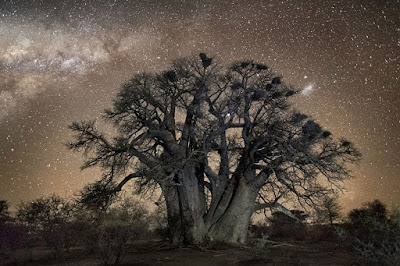 How old is an old tree, and why are they important? Trees are probably the oldest things in your garden. The first ever Bramley apple tree is still alive and producing fruit even though it is more than 200 years old. Cherry trees are old when they're 150 years old. 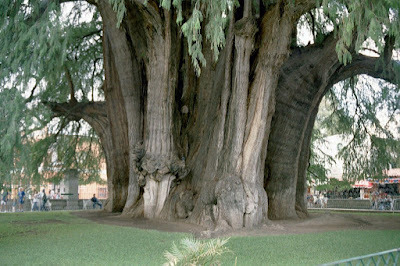 But yew trees are only old when the have their 1000th birthday and they can live to an amazing 4000 years. That's even older than Daddy! 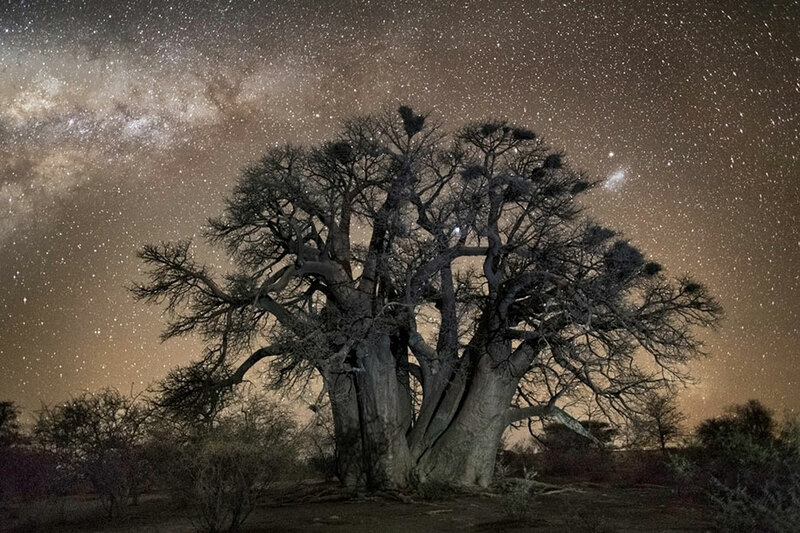 "Ancient trees are precious. There is little else on Earth that plays host to such a rich community of life within a single living organism." The UK is of special importance within Europe as we have so many ancient trees here whereas they haven't survived as well in other countries. There are several reasons why. Lots of them have been in royal forests that have been well maintained by royalty for hundreds of years. Some of them provided fuel and food so it was really important that they were properly looked after so the supplies did not run out. When public parks were created over a hundred years ago it was often thought that large trees made the park look more respectable so the parks were planned around them. 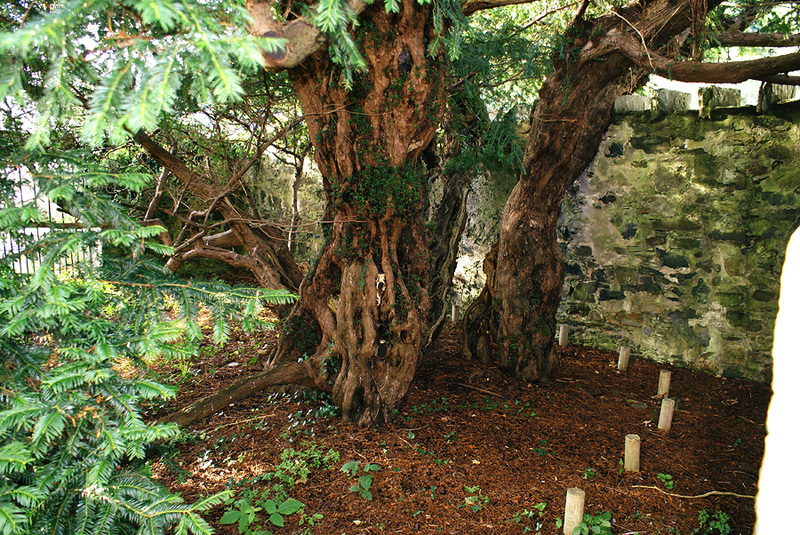 Old trees such as yews in churchyards are very special to some people and thought of as sacred. There are some really, really big trees on the Woodland Trust's interactive map. It's a great way to find out what ancient trees you can go and see near you. Even better, if you know of any ancient trees not on the map you can tell the Woodland Trust abut any whoppers you've found. 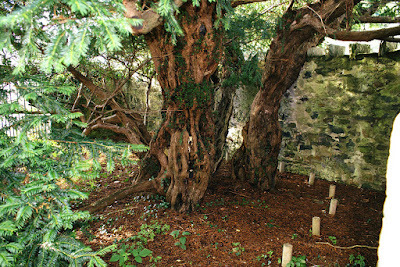 The Fortingall Yew in Scotland in the village of Fortinghall near Aberfeldy is 5000 years old. It's not only the oldest tree in the UK but it is probably the oldest living thing in Europe. It is harder to find the oldest tree in the world as the USA forest service keeps its location a secret so that nobody damages it. It is also around 5000 years old. 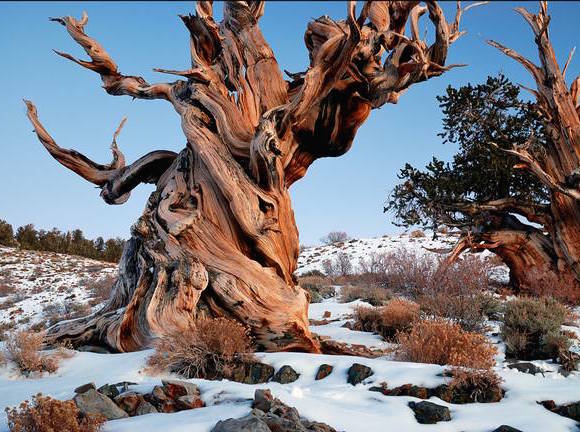 Could this Californian bristlecone pine be the oldest tree in the world? The worlds tallest tree is a 115m tall redwood in California. See its height being measured here. Hopefully you now want to have a go at growing the ancient trees of the future. Remember that growing seeds from local trees helps our native species out. These are trees that have learned how to cope with our local weather and soil so are most likely to survive if we plant them. Happy seed gathering and planting! Garden Playhouses, The Vialii Way! Is there such a thing as a free lunch?